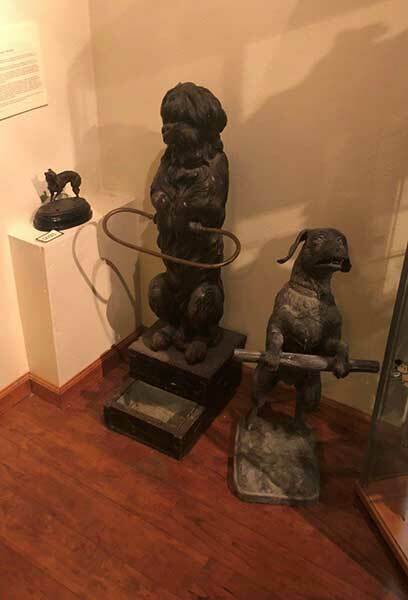 from the Ron Sturgeon collection. 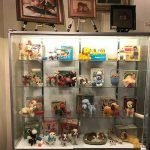 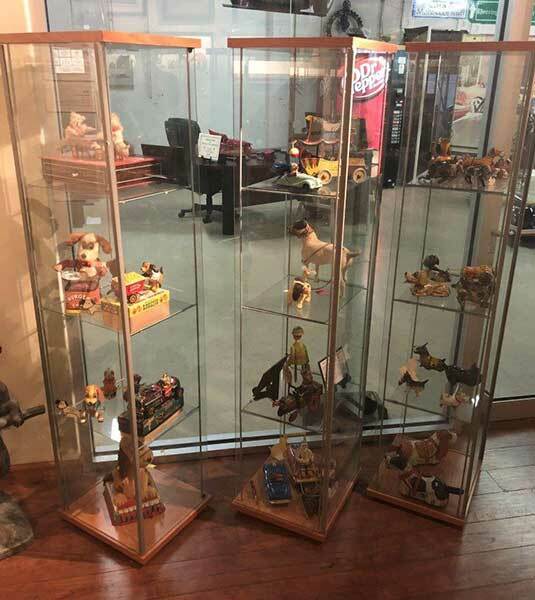 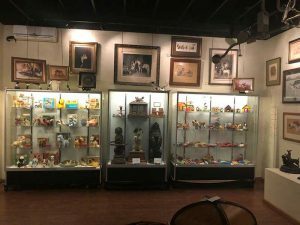 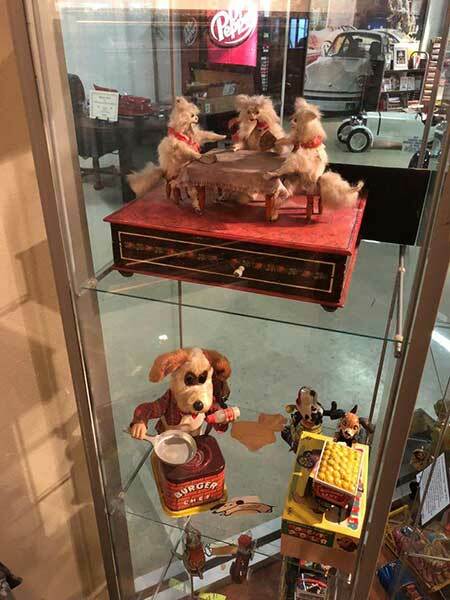 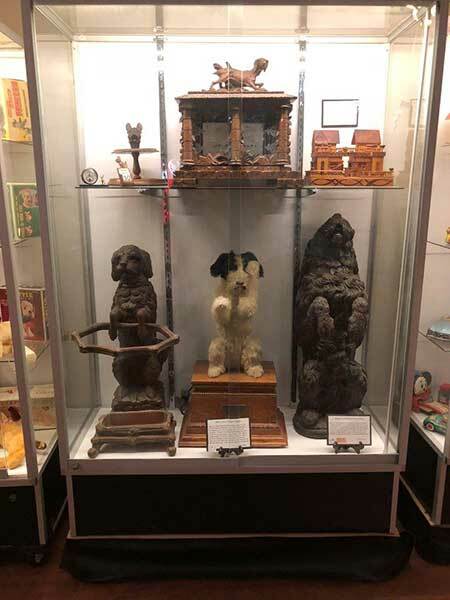 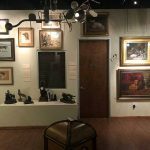 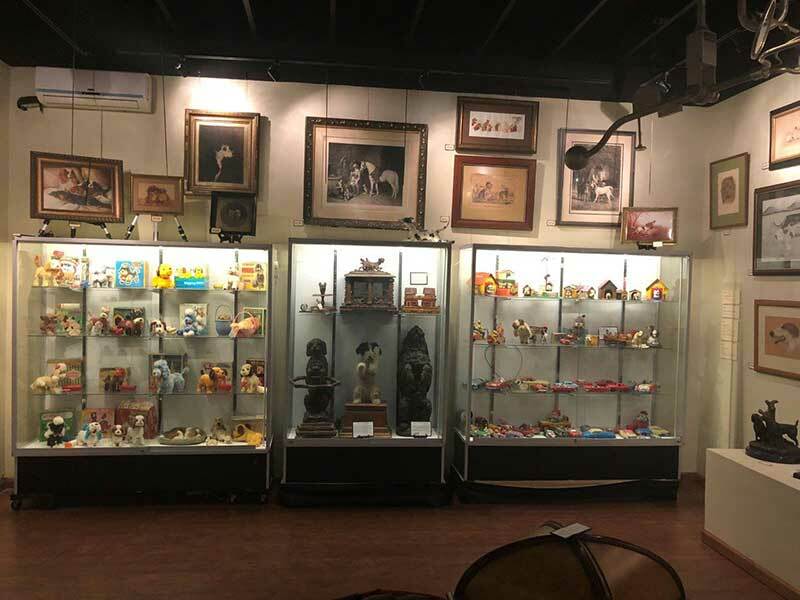 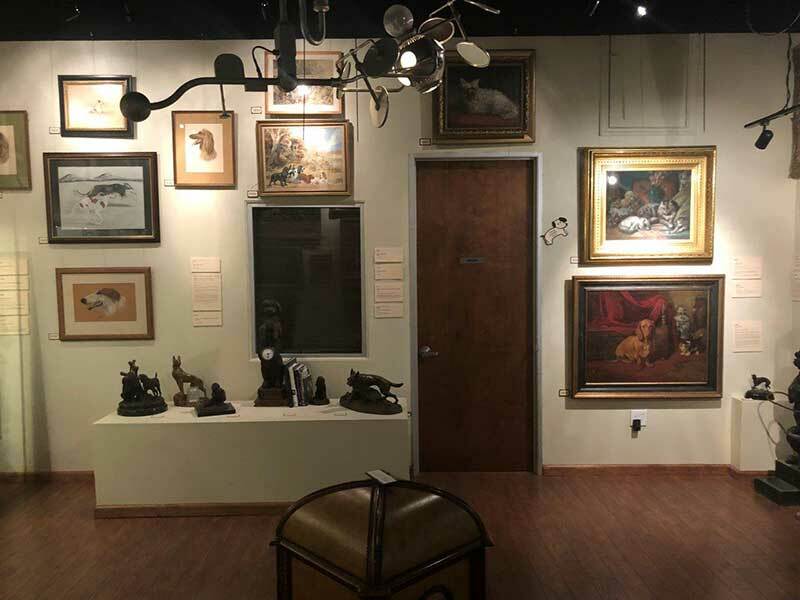 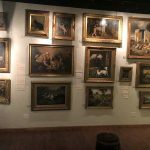 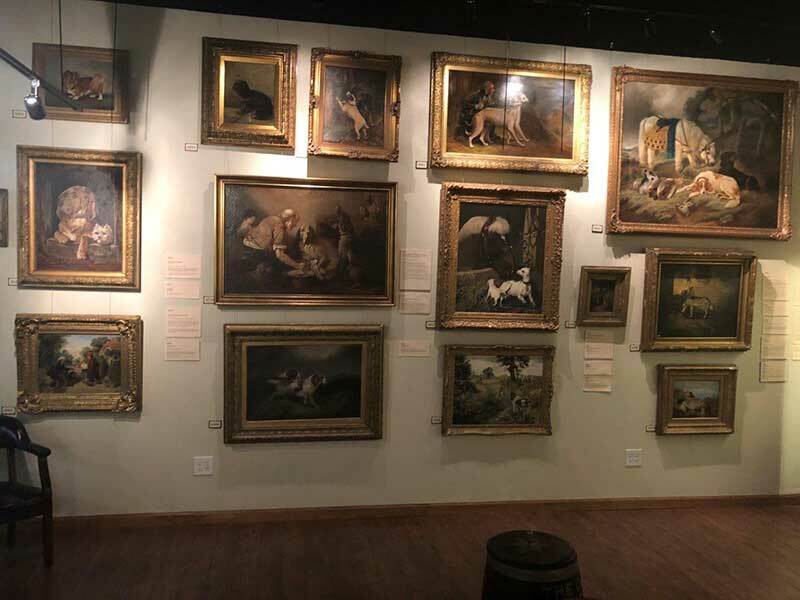 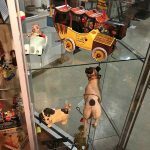 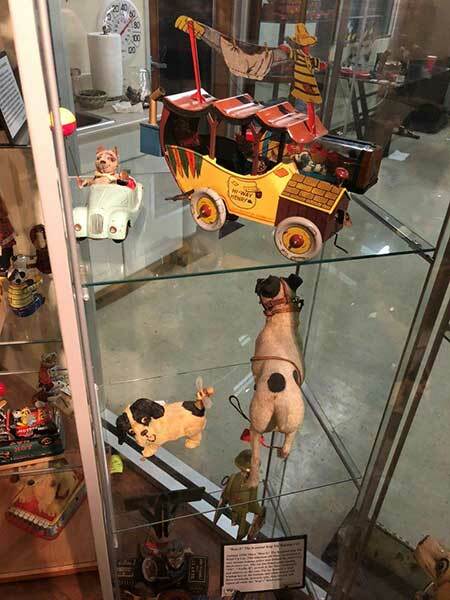 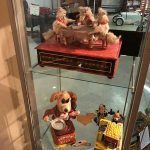 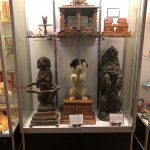 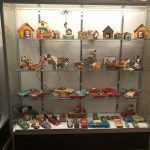 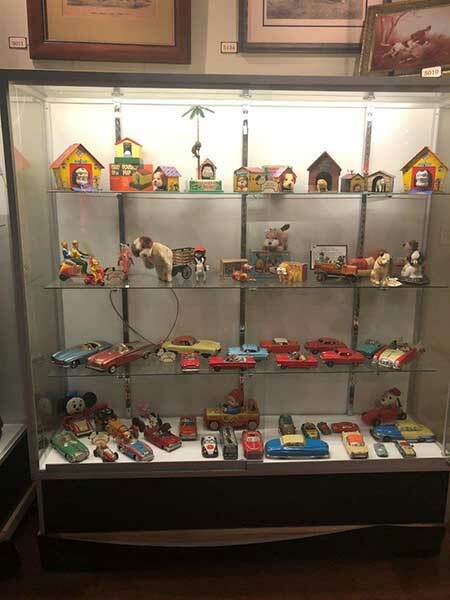 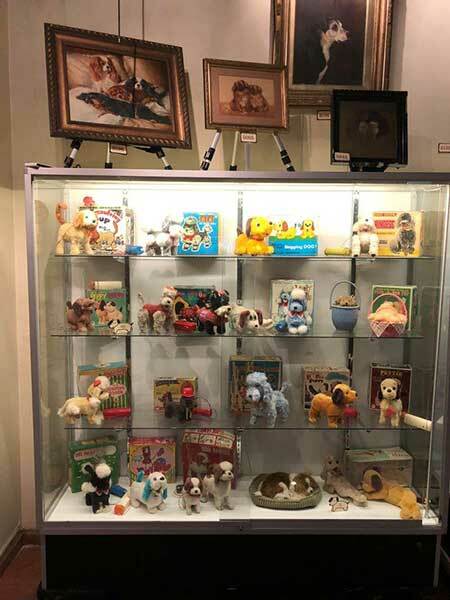 The exhibit begins with a Victorian Period Collage and continues with a delightful vintage and antique toy display, a 1930’s Store Window Tapper, and ends with the Lap of Luxury Display. 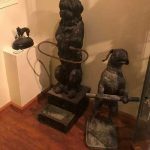 The extensive art of dogs is impressive.